Cultural showcases, social soirees, food fiestas and other events beyond description in Darwin give visitors a true insight into the personality and character of Australia’s northern most capital city. 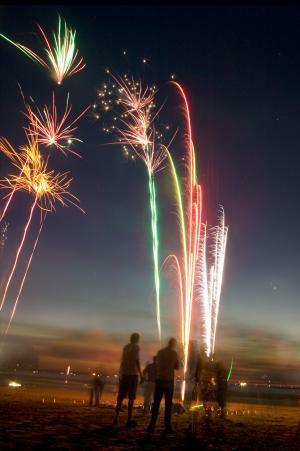 Darwin Festival is the city’s major cultural festival, held annually each year in August. This event celebrates the best in Aboriginal, national and international talent in music, theatre, comedy and dance performances and visual art displays. The annual Glenti Festival celebrates the rich and long-lasting influence the local Greek community has on Darwin. Then there’s the annual Beer-Can Regatta on Mindil Beach, where locals compete ferociously for the honour of building the most sea-worthy vessel from aluminium cans. The Darwin International Film Festival, a new event on the busy social calendar for Darwin, is held at the iconic Deckchair Cinema in September. Visitors with time to explore further afield can immerse themselves in Aboriginal culture at the Stone Country Festival, Garma Festival, Barunga Festival and the Tiwi Islands Football Grand Final and Art Sale. Visit the TravelNT website for more details on festivals and events. 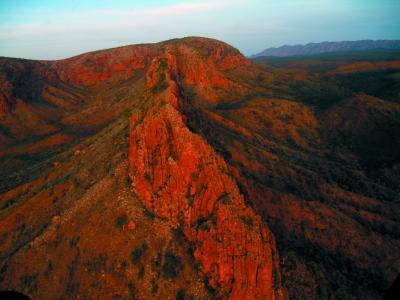 The Northern Territory is home to Australia’s largest population of Aboriginal people. Discover living aboriginal culture rich with traditions over 40,000 years old. Weave a basket, spear a fish, enjoy story telling, translate rock art and taste local bush tucker on an Aboriginal guided tour. Watch traditional dances and learn to play the didgeridoo at one of the many cultural festivals, or visit community art centres and watch the artists create their vibrant Aboriginal art. Wherever you go in the Northern Territory you’ll learn more about Aboriginal culture and art than anywhere else in Australia. Visit the TravelNT website for more details on Aboriginal culture. 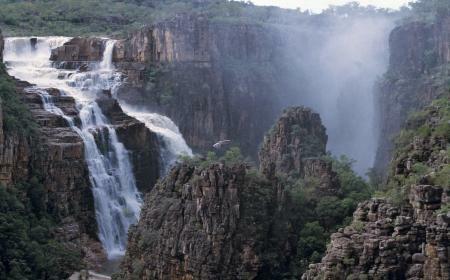 The Northern Territory is Australia's nature travel paradise. Each of the 52 Northern Territory national parks and nature conservation reserves protect a variety of unique natural environments and native animals. View rare species of flora, native wildlife and go bird watching around the many established walking trails, swimming holes and camping areas. Saltwater crocs, the most famous of the Territory’s creatures, can be seen in most rivers and billabongs in the Top End or at the wildlife parks around Darwin. While the deserts of Central Australia may at first seem stark, closer inspection reveals a complex ecosystem, supporting some of the most unique flora and fauna on the planet. The varied habitats, rare plants and animals, and spectacular landscapes of the Northern Territory are unmatched for an Australian nature holiday. Visit the TravelNT website for more details on nature and wildlife. The Northern Territory is world-renowned as a Mecca destination for fishing holidays. With lush billabongs, big tidal rivers, mangrove-lined estuaries, and hundreds of kilometres of unspoilt coastline, fishing trips in the Northern Territory are excellent all year round. While the Barramundi, or ‘barra’ is perhaps the most sought-after trophy, other species like jewfish, queenfish, giant trevally, mangrove jack, saratoga, threadfin salmon, golden snapper, billfish, marlin and mud crabs thrive in the Northern Territory’s waters. 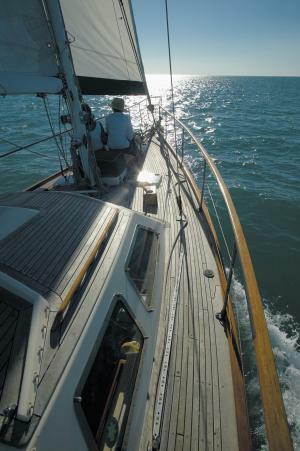 A fishing holiday is an exhilarating way to experience the Northern Territory’s diverse destinations. 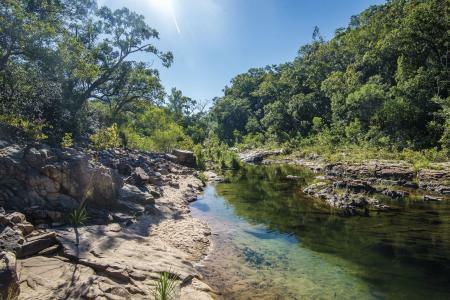 From the popular Darwin Harbour to huge scenic rivers like the Daly and Victoria, or the networks of beautiful waterways found in World Heritage-listed Kakadu National Park and the Mary River area area, all of which are prime barra haunts. You can hire a boat or choose from a selection of Fishing charters, stay at a remote fishing lodge or charter a mothership – every type of angler and fishing experience is catered for in the Northern Territory. Consider the NT as your first choice for a fishing trip! Visit the TravelNT website for more details on fishing. The Northern Territory’s outback contains an assortment of quirky pubs, fascinating characters, enduring landscapes and endless yarns. It invokes a spirit of exploration and freedom with its wide open spaces and cobalt blue skies and is full of surprises. You never know what’s going to be around the next corner. Imagine yourself as a pioneer and discover the iconic Australian outback on a journey through the Simpson and Tanami Deserts, West MacDonnell Ranges or along the Savannah Way. Listen to tall tales from locals in an outback pub, or get your hands dirty on a cattle station at one of the Northern Territory’s historic homesteads. Take a journey on The Ghan passenger train, watch the desert change from red to gold and view steep escarpments, savannah woodlands and lush tropical monsoon rainforests of the far north. Simply, discover the real Australia. Visit the TravelNT website for more details on the outback. Getting to the Northern Territory is easy. The vibrant capital city of Darwin is closer to Asia than any other capital city in Australia. The gateway to some of the country’s most awe inspiring natural attractions, Darwin is the tropical capital city of Australia’s Northern Territory, with spectacular waterfalls of Litchfield National Park and the wetlands and wildlife of Kakadu National Park. Darwin has a relaxed outdoor lifestyle and enjoys warm weather all year round. Perched on a peninsula with sea on three sides, Darwin is an excellent base to explore the natural attractions of World Heritage listed Kakadu National Park, Litchfield and Nitmiluk National Parks, the Tiwi Islands and Arnhem Land. Darwin was founded as Australia’s most northerly harbour port in 1869, and its population rapidly expanded after the discovery of gold at nearby Pine Creek in 1871. World War II put Darwin on the map as a major allied military base for troops fighting the Japanese in the Pacific. Today travellers can see evidence of Darwin’s World War II history at a variety of preserved sites including ammunition bunkers, airstrips and oil tunnels in and around the city. Darwin again made world news when the city was rebuilt in the wake of Cyclone Tracy in 1974 - an event well documented at the Museum and Art Gallery of the Northern Territory. Its colourful history has contributed to Darwin’s cultural diversity - more than 50 nationalities make up its 100,000 population, including the area's traditional landowners, the Larrakia Aboriginal people. The cultural and culinary benefits of such a melting pot are best experienced at Darwin's weekly markets, variety of restaurants and through the annual calendar of festivals and other Darwin events. Darwin International Airport recently launched a history book titled The World Flies in…and Darwin takes off! by celebrated local historians Peter and Sheila Forrest. Find out more. Located within 350 metres of the Darwin International Airport Terminal, Mercure Darwin Airport Resort is ideally situated midway between Darwin CBD and Darwin’s major shopping centre at Casuarina. Mercure Darwin Airport Resort offers guests the unique opportunity of enjoying resort style accommodation with a variety of styles to suit both the holiday maker and business guest alike. The Resort reception is open 24 hours a day to cater for the needs of all travellers. A complimentary 24 hour airport shuttle service is offered for our guests. Set amongst lush tropical gardens and adjacent to the natural beauty of Rapid Creek’s stunning pools and wetlands, the Resort boasts 181 spacious air-conditioned guestrooms and suites, ADSL & wifi internet access, TV with free-to-air, Austar channels and movie channels, STD/IDD direct dial phones and private balconies. The range of accommodation includes hotel style rooms; family rooms suitable to 2 adults and 2 children; the Bungalows and Resort spa suites feature kitchenette facilities and a separate sleeping area. A tropically landscaped swimming pool allows guests to enjoy a relaxing drink from Runway bar, followed by a delicious meal at the Resort's fabulous restaurant Essence. 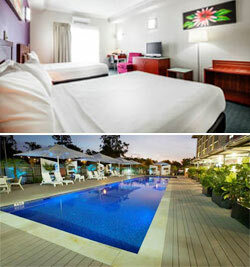 Situated within the grounds of the Mercure Darwin Airport Resort are the brand new Territory Rooms. Catering for travellers wanting convenient comfort at a price that’s easy on the hip pocket, the Territory. Rooms are ideal for a 6 to 8 hour day use or layover between flights. Rest, refresh, dine and utilise the facilities at the Mercure Darwin Airport Resort including the 24 hour airport shuttle bus transfer. The Novotel Darwin Airport is a contemporary hotel located only 300 metres from the airport terminal. The hotel reception is open 24 hours a day to cater for the needs of the traveller. We also offer a complimentary 24 hour airport shuttle service for our guests. Novotel Darwin Airport has a variety of outstanding accommodation styles to suit the holiday maker and business guest alike. The Hotel rooms features ADSL and wifi internet access, colour TV with free-to-air, Austar and movie channels, STD/IDD direct dial telephones, tea and coffee making facilities, iron and ironing board, ensuite bathroom and a refrigerator. Most rooms have private balconies. Guest laundry and dry cleaning facilities are also available. A gymnasium, with 24 hour access, is available to in-house guests on the ground floor of the Hotel. There is a total of 136 guest rooms, including hotel style rooms plus 2-bedroom suites which feature kitchenette facilities and 2 luxury, fully self contained executive apartments. Additionally, for the budget conscious traveller, there are five dormitory style rooms. Loong Fong Restaurant is open every day, offering an Australian buffet breakfast each morning and a-la-carte Chinese cuisine for lunch and dinner service. Take away options are also available. Guests and locals can enjoy the tranquil atmosphere by relaxing with a cooling beverage at the pool bar. Novotel Darwin Airport is an ideal venue for seminars, meetings, conferences, cocktail parties and other special events. Conference packages are also available upon request. 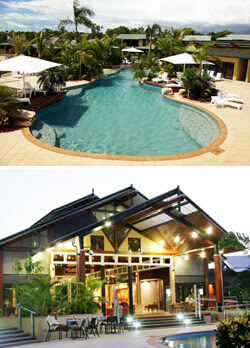 For more accommodation options in Darwin, visit the TravelNT website.